Presque Isle offers a wide range of recreational activities including swimming, canoeing, tennis, softball, baseball, and basketball at one of the six parks maintained by the City of Presque Isle Recreation & Parks Department… Arnold Brook Lake, Bishop’s Island Ball Field, Mantle Lake Park, Peace Park, or Riverside Park. The city parks also offer picnic facilities and a variety of playground equipment. The Aroostook State Park provides a relaxing place for hiking, camping, swimming or canoeing on peaceful Echo Lake. 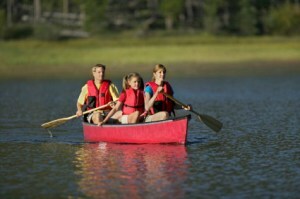 If you don’t have a canoe, no problem because you can also rent their equipment! 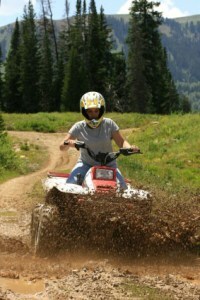 The Star City ATV Club offers miles of marked and maintained trails which tie into other local trail systems through the county. Our 6 miles of paved,well lit, and beautifully maintained bike & walking path has always been very popular among those walkers, joggers and cyclists looking for a year-round place to test their endurance or just while away the day. Sportsman’s opportunities abound for those interested in wild game and bird hunting. The Presque Isle Fish & Game Club holds an annual Sportsman Show each spring. Spring, Summer & Fall can be spent out on the 18-hole golf course maintained by the Presque Isle Country Club which offers a Pro Shop and a restaurant. Summer brings the Northern Maine Fair, tractor pulls, truck pulls and harness racing as well as many other local fairs, parades, and festivals. You can find a calendar of yearly events at the Central Aroostook Chamber of Commerce. Winter is an unforgettable time of year… Presque Isle has become a hub on the state’s 13,000 miles of Interconnected Trail System (ITS) snowmobile trails, and with its central location its the perfect place to stay before riding the more than 83 miles of trails maintained by the Presque Isle Snowmobile Club. Weekends and vacations in winter can be spent on the downhill trails of Quoggy Joe Ski Centre with its t-bar lift and free ski lessons, or on the Nordic skiing and biathlon trails provided by the Maine Winter Sports Center as part of their Nordic Heritage Venue. The City of Presque Isle owns a large multi-purpose facility which offers year-round events and shows, plus a seasonal indoor ice rink! Visit their website for a calendar of events, The Forum.